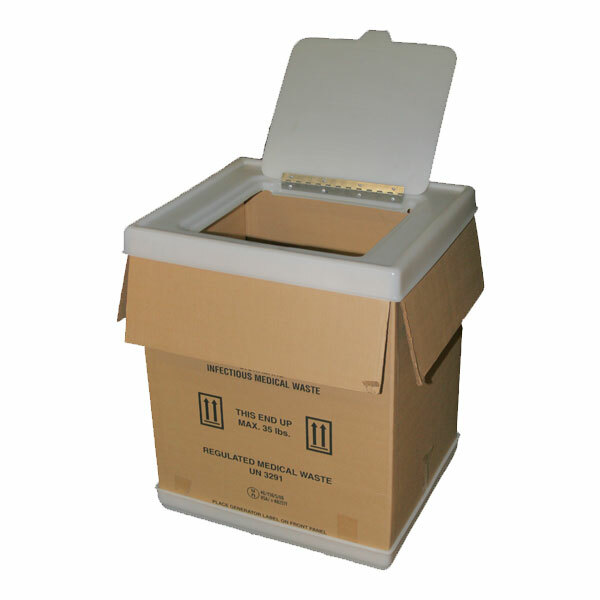 The DH Series DH-2320 Dolly Hamper Set for 23 x 20" RMW Box is a dolly hamper and hatch lid for regulated medical waste, biohazard boxes. Heavy-duty, long-lasting, polyethylene molded parts. Steam cleanable for sterilization, resistant to corrosive agents, will not warp, bend or crack. Dolly hamper base ships fully assembled with four swivel casters, hatch lid features fully assembled hinge. Folds over box top to keep flaps out of the way. Ideal for high and low volume needs, hospitals, clinics, labs and any other facilities requiring regulated containment. Available in all typical (and custom) sizes. Bags and boxes not included. 23 x 20" model. Outer Dimensions (OD) (LxW) 23 x 20"